"He designed it himself," the bride-to-be beams, shoving an immaculate, art deco-inspired diamond into a group of smiling faces before one finally breaks and says those four words; "So... How did he propose?" Panic ensues... In reality, he woke her up at 6am with a bit of a head and, sweating and shaky, suggested that they walk up a mountain for kicks. She asked was he mad, told him it was lashing out, and tried to go back to bed. Eventually he managed to cajole her into the car, in her tracksuit and wet hair, while her internal monologue ticked between wondering was this it - the moment - or if they're just in for a morning of damp socks. One woman has bravely taken to Mumsnet to share her underwhelming engagement story in an effort to encourage others to do the same. And it seems she's opened the Pandora's box of poor proposals. 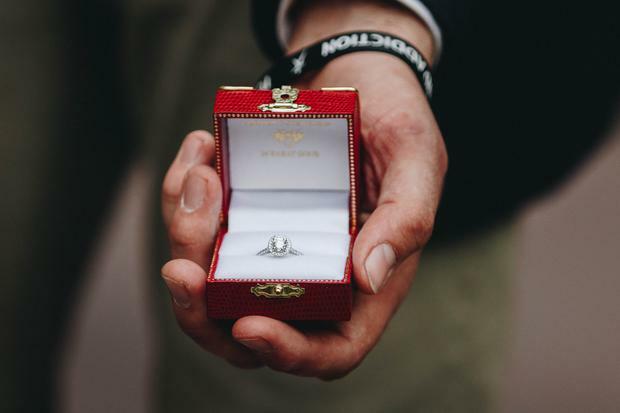 "I’m not one of those people who needed a flash proposal, or even really a proposal at all, we’d already decided we’d marry at some point anyway," the woman who calls herself 'Chris' begins, explaining how her now husband was keen on popping the question formally so she simply went with the idea. 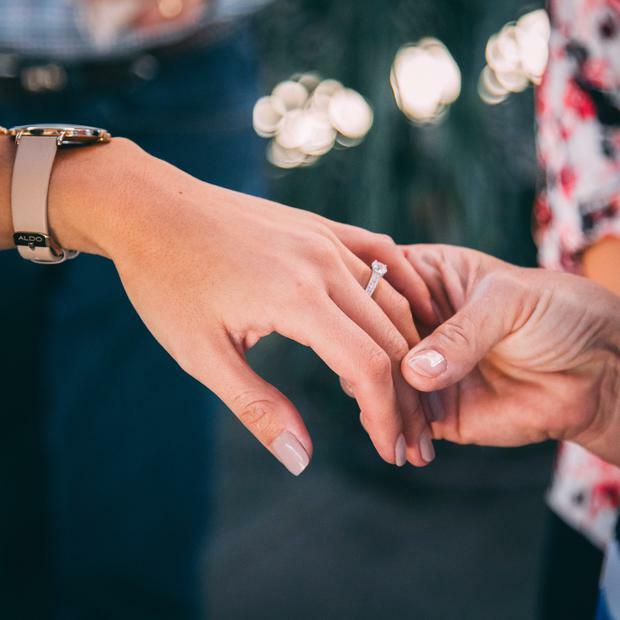 When Christmas came and went however, and the moments she thought would have sufficed with it, she began feeling the pressure of an impending proposal. "It began to feel like a strange, psychological experiment," she says. "I was carefully not mentioning it, because it meant more to him than me, and I didn’t want to ruin whatever his plan might be, but there was a good chance we’d be married before he got his moment to shine. " Eventually of course, Chris's partner did ask her to marry him - in her parent's kitchen over a bowl of soup. The grand proposal hadn't quite lived up to the expectations she didn't even realise she had. "I always thought that my expectations were quite achievable really, but no, I’m an awful diva who wanted more," she concludes. Her story has encouraged others to share their funny, not-so-perfect proposals, but which all resulted in a resounding 'yes' nontheless. "We were on a city break in Barcelona. He had all sorts of plans to propose in front of some beautiful building (there are lots) but was too worried about getting mugged to carry the ring around. In the end, he proposed in our hotel room on our last night before flying home. The ring was far too big, and it fell off my finger and rolled under the wardrobe. So we spent about an hour with a torch and a coat hanger, trying to retrieve it - in the end, we had to move the wardrobe." "A friend went on a special romantic dinner date, walk through the sand dunes holding hands, under the stars, all very lovely and clearly building up to the proposal she was expecting. He knelt down in front of her, started talking about how much he loved her, then threw up on her shoes. That made her vomit too, which went on his head and on the ring. Turned out they both had norovirus." "I was wearing a cagoule. It was on a weekend in the lakes on a bank holiday. You couldn't move there were so many people. He just grabbed my hand and asked. I said yes. Then he said he had left the ring in his bag at the hotel. Then we were harassed by a mad swan and left." "One evening my now dh said we should go for a drive as it was a lovely evening, it was pitch black! We had discussed marriage and in the back of my mind I thought 'this is it' we drove down some dark country lanes for what seemed like forever. After our weird outing we returned home no proposal. A few months later I in my tracksuit bottoms happily bra free in my fluffy hoody my oh brought me dinner on a tray. He towered above me and said will you marry me..I am so ashamed of my reply but I was so shocked and said 'I am not being proposed to in bloody tracksuit bottoms and no bra!' He replied "well get dressed then and I'll take you outside and do it"